As the waitress gently places the closed bud of a lotus flower in my pot of boiling broth, it slowly unfurls to show off its bright purple petals. CAN EAT? I sign to my new acquaintances around the table in this Deaf-owned restaurant. I see a chorus of nodding heads. It’s my first night in Taipei, but I’m already feeling quite at home thanks to the warm welcome from a half-dozen Deaf people and a couple of hearing interpreters who have come to dine with me at Lotus hot pot restaurant. I look forward to meeting the owner of Lotus and learning his story, but right now, he’s busy in the kitchen. So, it’s time to eat. The server brings out platters of assorted cut-up veggies, sliced meats, fish balls, plus the shellfish I ordered. And here‘s my next challenge. After being an American Sign Language interpreter and hanging out with Deaf people for over 30 years, I am used to one of the consequences of a culture that values face-to-face communication above almost anything else: eating cold food. Sure, the food comes out of the kitchen hot. But since a bit of juicy news or a good story needs to be appreciated in its entirety, it would be impolite to interrupt signed remarks for something as basic as enjoying hot food. The food will still be there, albeit a little cooler, when the story is done. In the case of a hot pot restaurant, however, each diner must cook the various ingredients in their broth and carefully remove them before they overcook, so that the vegetables don’t become mushy and the meat doesn’t toughen up. As a novice, I am attempting to juggle my chopsticks, the unfamiliar green botanicals and some slippery shellfish while simultaneously trying to converse with a tableful of guests who know varying amounts of ASL. The woman sitting next to me, Ginger Hsu, a hearing Taiwanese Sign Language interpreter who speaks some English, has been looking up on her phone the English words for unfamiliar ingredients. Once she notices that my timing is off and the vegetables in my pot are becoming limp, she volunteers to help cook my dinner while I chat away. What impressed me most during my two weeks in Taiwan was the caring kindness of strangers. Thanks to the global network of Deaf connections, this evening was organized for me by Will Chin, a thoughtful Taiwanese Deaf man who lived in the US for nine years while he attended Gallaudet, the University of Maryland and later taught. The chain of Deaf acquaintances that led me to Will started with Melody Stein, who with her husband, runs San Francisco’s famous, Deaf-owned Mozzeria restaurant, which I wrote an article about on the eve of its opening in 2011. A couple of years later, when I was planning a trip to Hong Kong, I remembered that Melody was born there and asked if she had any friends in Hong Kong who might know ASL. She did and made the connection for me to the wonderful Jenny Lam, who had also attended Gallaudet. Jenny organized a dinner for me, much like this one, with a dozen Deaf people who had spent time in the US. Later, she took me an elegant dim sum restaurant because she knew I was writing an article about dim sum. When planning my trip to Taiwan, I contacted Jenny to see if she knew anyone in Taipei who might know ASL. She introduced me to Will Chin. When I emailed him and mentioned that besides being an ASL interpreter, I also write articles about food and culture for magazines and websites, Will knew I would love to visit this Deaf-owned restaurant. After we finish eating, Will takes me back to the kitchen to meet owner Lu Chia-Hsun and interprets for me between Taiwanese Sign Language and ASL. Lu previously had an office job, but in 2009, he worked on the International Deaflympics in Taipei. He had become ill because, he tells me, because he ate out a lot and didn’t make healthy choices. After mingling with Deaf athletes from around the world, he realized the importance of good food. When the Deaflympics ended, Lu looked for another job but became frustrated when he was repeatedly turned down. On his travels around Taiwan, he visited the city of Hualien and discovered a healthy hot pot restaurant, Sakura. He thought that opening a branch in Taipei would meet with success, asked his family to support him in this venture, and they agreed. But when Lu approached the owner of Sakura , he was met with resistance. Other people had tried to open branches of this restaurant but they had all failed. And now a deaf person with no restaurant experience! Lu’s family members negotiated on his behalf with the owner, saying if Lu fails, we will take responsibility. The owner finally agreed. Will introduces me to husband and wife owners, Johnny Lo and Mandy Chang. Lo tells me that when he decided to open a coffee shop, he was warned that it was a very competitive business. In order to achieve coffee drinks with an exceptional taste, he studied privately with a teacher for a year and a half. And it took six months of practice, he adds, to master the flowers, swans and heart shapes he fashions out of foamed milk to top his coffee drinks. His little shop attracts both Deaf and hearing customers. The busiest time is 8-10am for regular customers. Saturday is the most popular day for Deaf customers, who in Deaf cultural tradition, tend to stay all day. After their morning cups, they migrate outside to continue their conversations. On weekday afternoons, like today, there is usually a Deaf group around the table, who can sip and chat for hours. But if some new hearing customers come in, as I observe on this day, the Deaf regulars, quickly make space for them to be comfortable. Lo and his wife, who are Bravo’s only employees, serve just coffee, cocoa and tea drinks plus waffles (in original, green tea and chocolate flavors). Since there are no hearing employees and Lo and his wife are both Deaf, they provide a large placard where customers can point to their drinks of choice. As Will and I leave, I wiggle both thumbs to sign a big “Thank you” in Taiwanese Sign Language to Johnny and Mandy. Posted in Deaf Culture, Deaf Culture around the world, Deaf owned business, Deaf owned restaurant, Deaf people around the world, Deaf/hearing cultural differences and tagged Deaf community, Deaf Culture, Deaf owned restaurant, deaf-owned business, etiquette, food and culture, hot pot, hotpot, interpreters, lotus, politeness, Taipei, Taipei Deaf owned business, Taiwan, Taiwanese sign langauge. Bookmark the permalink. Reporting Bathroom Behavior – Is that really “Deaf Culture”? These days on YouTube, you can find many attempts to explain differences between Deaf culture and hearing culture. One good example is the work of a CODA named Will (CODA8810). 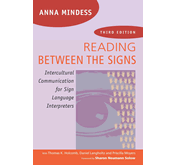 He provides several episodes, which although exaggerated, illustrate how Deaf people can behave very differently from hearing people. One of his scenes depicts graphically the openness and the etiquette related to information sharing regarding what goes on in the bathroom. 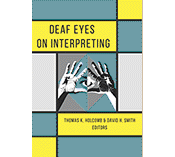 This kind of openness has long been the subject of debates among Deaf people as to the appropriateness of such disclosures. You need to watch Will’s 3 short scenes on YouTube: to see for yourself. So, does this truly fit the definition of Deaf Culture? 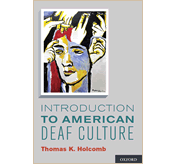 As discussed in the book Introduction to American Deaf Culture, cultural behaviors can be categorized into three categories – explicit, implicit, and emblematic. Some behaviors are explicitly regulated through laws or policies. For example, the government determines the legal age for getting a driver’s license or drinking alcohol beverages. The legal age for these actions varies from culture to culture. Other behaviors are implicitly understood. Rather than being regulated by laws or policies, they are generally accepted and practiced by the community members. For example, tipping rules also vary from culture to culture. Here in American restaurants, a tip of 15% to 20% of the bill is expected, but not mandated by law. The final category is where behaviors are emblematic of the culture but not necessarily practiced by most members of the community. For example, foul language is often used in American movies, giving an impression to people throughout the world that such behavior is typical of Americans. While most Americans may not themselves swear as much as certain characters in movies, foul language has become emblematic of American culture. In the case of Deaf culture, etiquette associated with information sharing about bathroom behavior or personal ailments has been long debated among Deaf people. Letting others know where you are going when you leave the room is expected of Deaf people, even if the bathroom is your destination. Adding a vivid description of what transpired in the bathroom is not. Yet, it is not that unusual to be at the receiving end of a detailed description of a difficult bowel movement or colorful vomit. 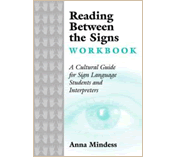 This openness can be considered emblematic of Deaf culture…that is it is not customary or expected of Deaf people to be graphic, yet such descriptions are not that unusual within the Deaf community. CODA Will makes this point in his another YouTube presentation — What do you think? Posted in Deaf Culture in Action, Deaf Culture Values, Deaf/hearing cultural differences and tagged bathroom behavior, Deaf Culture, etiquette. Bookmark the permalink.